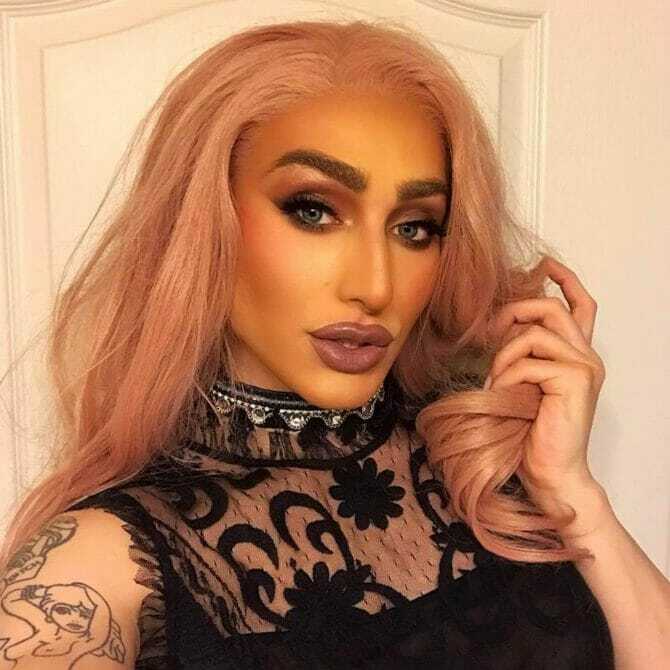 New York City-based drag queen Biblegirl has a made a name for herself without being on RuPaul‘s Drag Race. The self-proclaimed “internet reality trash” is the CEO of Drag Queen Merch, a company that helps queens like her turn a profit from their merchandise. She successfully got her company’s product into Hot Topics around the country, and while she isn’t busy helping queens chock their goods, she also performs around the world. Well, it seems like Biblegirl has been taken advantage of by a promoter, and she isn’t going to be quiet about it anytime soon. The “meme-queen” is alleging that an Australian promoter, Kweer Touring and Events, failed to follow through on their contract, and owes her almost $4,000 in coin. what this pic smell like? [email protected] @bangbangbebegunn ?? photo by @danielsuttonphoto ? wearing @hausdelolo ???? We had to find out more, so we direct messaged the queen, and here’s what she told us. sleep paralysis sisters @allaboutfka ?????? photo by @danielsuttonphoto ? crown of nails by @xeldaxanadu ???? Kweer Touring and Events is owned by Peter J. Smith. The company is currently promoting a tour with Vanessa Vanjie Matteo, the breakout star from Drag Race season 10. Many of Biblegirl’s fans are trolling the posts promoting the upcoming “Vanjie Ball,” asking how are they going to pay for Miss Vanjie when they still haven’t paid Biblegirl what she is owed. We reached out twice to Kweer Touring and Events for comment on these allegations from Biblegirl, once on Twitter and also through the contact form on their website. We still haven’t heard back. We will update this post if we do. UPDATE: Biblegirl asked that this comment below be added to this article. I remember Jiggly and a few other queens were suing and I think Adore sued some promoters too. So it sounds like there are some shady people promoting these events. The RUPaul queens at least have a lot of social media to drag their names through the mud (Pun intended) if they screw them over.